Food, Food, Fabulous Food is a feast for the eyes, ears and taste buds. 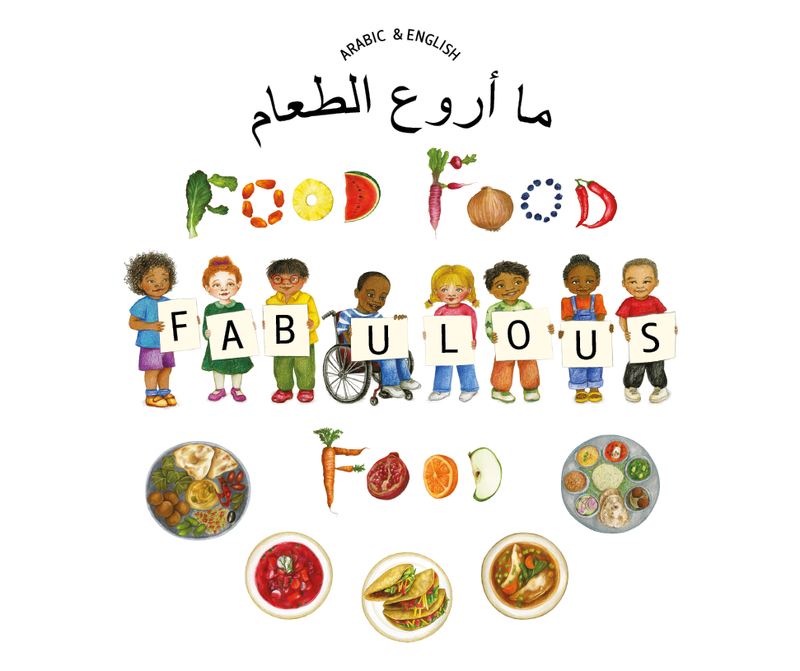 Written by Kate Clynes, this book engages with themes of multiculturalism, sharing and eating well. The simple story, told in two languages, follows an appealing rhythm which will help children develop both their reading and speaking skills. Set on Multicultural Food Day, a day when children are encouraged to bring in foods from their cultures, you can see the processes of growing, shopping, preparing and sharing many different kinds of food.